The POCKETLADER combines all functions an R/C hobbyist could wish for in a ultra-compact charger. 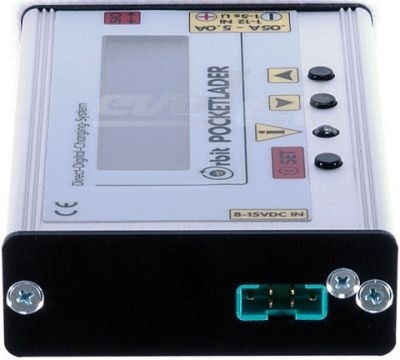 All rechargeable battery types 1V up to 21V can be charged with 50mA up to 5 amps. 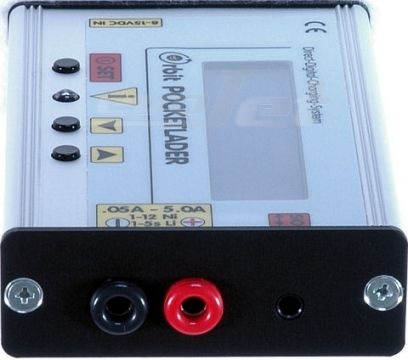 The POCKETLADER is a powerful charger for Nickel Metal Hydride (NiMh), Nickel Cadmium (NiCd), lead (Pb), and Lithium-Ion/ -Polymer/-Ferrophosphate-A123 batteries, and simultaneously serves as a precise measurement device for the battery condition . A clearly arranged LCD display informs you at any time about the battery voltages, the charging current, the charging time, and the capacity/charge (in mAh). 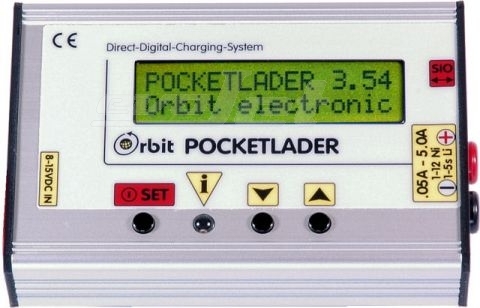 The POCKETLADER includes a SIO computer interface to analyse the measured battery data with the Orbit MICROLOG software and to update the POCKETLADER with the latest firmware (firmware-flash) for free. The POCKETLADER is user-friendly and, due to its sophisticated, compact and rugged design, very handy. This Product was added to our catalogue on Wednesday 08 December, 2010.